You’ve probably got some on your person right now, either in the wallet or purse or just shoved into your pockets. But there’s more to know about money than just how to make it, spend it, save it and try to not pay too much tax on it. 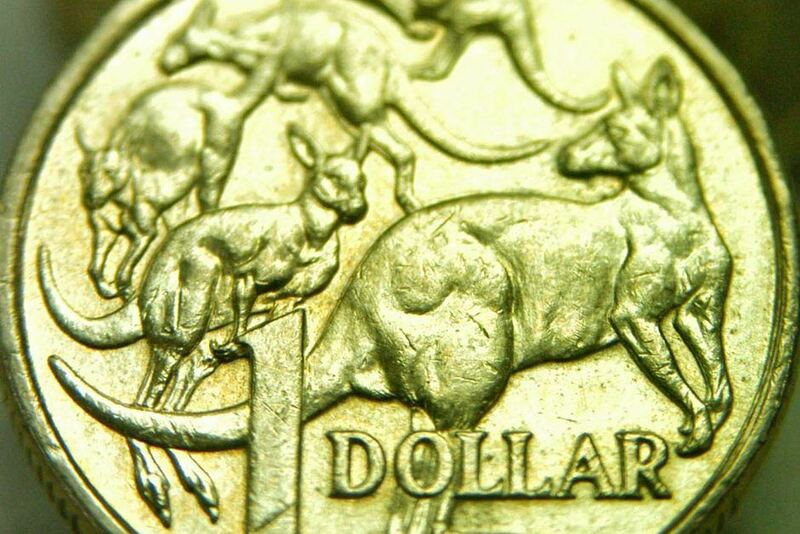 Facts and conversation starters about Australian money. Alex Wilson, writing for savingsguide.com.au, researched some of the lesser known and tantalising facts about Australian money — you may or may not know some of these gems of information, but you can file the following away to either one day start a conversation at a barbecue or bore the kids. 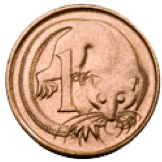 Do you remember the 1 and 2 cent coins? Some readers may not even remember the 1 cent coin (there’s one pictured at right), but we’re sure many others will recall the “copper” 1s and 2s with either nostalgia or a feeling of “good riddance”. They were actually made of bronze and filled Australians’ change pockets before they were withdrawn from circulation in 1992. Once collected, most the coins were melted down and the metal re-used. All of the bronze medals awarded in the Sydney Olympics of 2000 were made of recycled 1 and 2 cent coins. Due to paper money forever needing to be replaced due to wear and tear, Australia was the first country to pioneer plastic, or polymer, money. Many other countries have since adopted using polymer bank notes for their currency. The polymer notes can stay in currency four times longer than their paper counterparts. Pair this with the fact they are harder to counterfeit, our polymer invention seems to be the future of printed money — although countries such as the US seem to be welded on to paper bank notes (and they even retain their 1 cent coin). Plastic notes even withstand going through the washing machine, which has been a notorious unintended way to destroy good money in the past. As the notes are made of plastic, people often wonder whether they are capable of withstanding the heat of an iron — the answer is yes, though only at a mild temperature. As with any plastic, it definitely has a melting point, which Wilson points out is a sure fire way to burn through your money (pun intended). 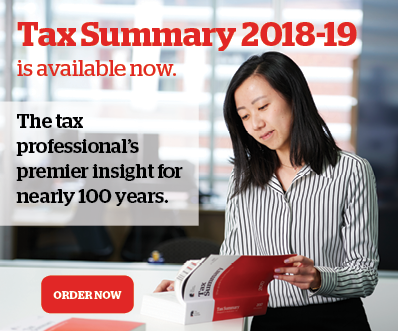 In 1965, Sir Robert Menzies was the prime minister and Australia was in the process of switching from pounds, shillings and pence to its own national currency, which was yet to be named. Menzies suggested the new currency be called “royals” — further showing his monarchist loyalties. The name was trialled for a while (and early designs are shown at right), but eventually “dollar” was agreed upon, although Wilson says it was not after some other hysterical suggestions, including: the oz, the roo, the austral, the digger, the emu, the boomer, the kanga, the kwid, the dinkum and even the ming (Menzies’s nickname). The Australian mint often produces “limited edition” coins and banknotes that are legal tender, like the rare $5 coin. This means that while the coin may be worth $5 exactly in a retail sense, due to their scarcity investors pay more for the coin itself as a collector’s item. This means they invest much more for a note or coin than it actually has as a legal value, in the hope that time will see said value appreciate. 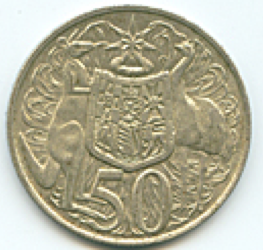 The 50 cent coin, introduced in 1966 with all the other decimal currency, used to be a round shape (not 12 sided as it is now) and was originally made with 80% silver (see picture). But as the value of silver increased, the 50 cent coin’s bullion value became more valuable than its actual face value, so they were withdrawn from circulation a short time later and replaced with the coin we use today (which is made of a copper-nickel alloy, also known as monel). Polymer plastic notes are reputed as near impossible to counterfeit, however some crafty crooks out there have still managed to copy the $50 note, making it the most frequently copied banknote. Police have managed to shut down most of these illegal operations and clamp down on these illegitimate notes. There are however some slight design variances between $50 notes (such as some having names printed under the portraits used on the note, which were added in 2002), but these are still legitimate. To spot a “real” fake fiddy, as it were, the Federal Police advise that the stars of the Southern Cross found on the note’s translucent window can be scratched off with a fingernail or coin. The real notes have stars that are unable to be removed as they are covered by a very durable coating. Other security measures found on Australian bank notes include; micro printing, raised ink (you can actually feel the texture on the note), fluorescent ink (Wilson says you can see the denomination numeral on $20, $50 and $100 notes along with a square shape on $5 notes) and more. You simply need an ultraviolet light to view these. The costs of producing our money are funded by the government and in turn are the property of the government. Any intent to willfully deface, disfigure, mutilate or destroy any coin or note is technically punishable by law and carries a fine of up to $10,000 or two years in prison (Wilson warns those ironing notes [see above] to watch out). An urban myth that has been doing the rounds for years is that money is crawling with germs. However research conducted at the University of Ballarat indicates that coins and bank notes, while indeed carrying some levels of bacteria, do not do so on a scale that is seen as overwhelming or deadly. Like on any object, germs are present (surprisingly salmonella is not uncommon) although still did not pose a concern to the researchers. There may be some readers who remember the move from pounds, shillings and pence to the decimal currency on St Valentine’s Day in 1966. So here’s an old TV ad from the time (it’s four minutes long), just to take you down memory lane.